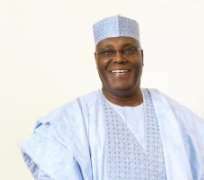 The United States Consulate in Lagos on Friday said matters relating to the application for or issuance of visa to former Vice-President Atiku Abubakar, or any other individual was a confidential matter. This came barely 24 hours after the Federal Government called on the US government to be cautious about giving a US visa to Atiku, who is the presidential candidate of the Peoples Democratic Party in the 2019 election. The Public Affairs Officer of the US Consulate in Lagos, Brussel Brooks, stressed that the issue of US visa for anyone, irrespective of their social standing in the society, was strictly a confidential matter. Brooks spoke while fielding questions from journalists seeking to know his view on the raging controversy surrounding Atiku's application for US visa after attending a programme in Ibadan, the Oyo State capital, on Friday. He, however, called on candidates at all levels, from presidential to House of Assembly elections, to focus on issue-based campaigns instead of dwelling on things that were not important to the well-being of Nigerians. He said, “The position of the US Mission has remained the same throughout any discussion on this issue that visas are a confidential matter. “We don't discuss visa status of any person, whether it be a highly rated official, a presidential candidate or an average citizen. He stressed that candidates in the forthcoming elections must engage in issue-based campaigns, while asking Nigerians to ask the candidates their plan to improve the education sector. He said, “Oftentimes, unfortunately, campaigns are full of distractions; things that are not that important to the lives and welfare of average Nigerians, especially the children that are with us today. What is important is to give them (children) the opportunities to serve in order to thrive in today's world. The programme, an education forum, which was organised by the Fulbright Language Scholars' Association of Nigeria, under the leadership of Miss Tolu Akinwole, titled, 'Teaching Resources: Availability, Applicability and Appropriateness,' was held at the University of Ibadan. It was organised for 150 teachers and students drawn from various public schools in Oyo State and the representatives of Oyo State Ministry of Education, Science and Technology. Akinwole, who said FULSAN, being funded by the United States Consulate, had trained a total of 350 teachers in Oyo and Ondo states in 2018 with a view to igniting vibrant teachers and provide solutions, decried the inability of students to apply lessons they learn in classrooms to everyday life. In a similar development, the Senate President and Director General of the PDP National Campaign Council, Dr. Bukola Saraki, has also said the opposition of the Federal Government to granting of a US visa to Atiku was a panic and desperate action of the government. He argued that granting visa to Atiku did not equate to his endorsement even as he urged the Federal Government not to interfere with visa issuance matters. Saraki spoke at the maiden media briefing of the campaign council on Friday in Abuja. Following the revelation that Atiku has applied for a visa to enable him to visit the US, the Minister of Information and Culture, Alhaji Lai Mohammed, had on Thursday in Abuja during an interactive session with journalists said, “We understand and appreciate the fact that it is the prerogative of the US to grant a visa to anyone who applies. Meanwhile, officials of the US government had told Sunday PUNCH that the US had no pending lawsuit against Atiku.